1080p? That's for suckers, and you're not a sucker, right? That's what I thought. 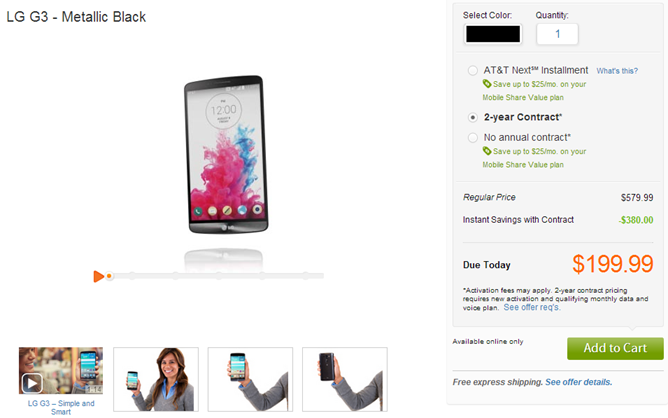 You can leave 1080p in the dust by picking up the LG G3, which is now shipping overnight from AT&T. Not only that, you can get 50% off a G Watch, if you want one. The LG G3, of course, is the newest flagship phone seeking your approval. It has a quad-HD 1440p 5.5-inch screen, 3GB of RAM, a 3000mAh battery, and laser autofocus. The device comes in either black or white with a handsome (not really) AT&T logo on the back. AT&T previously said pre-orders would be live today, but the AT&T site says the device is shipping for real. It's currently online-only, though. If you drop $200 on a G3 with a two-year contract on the G3, AT&T will give you 50% off accessories, which includes the new G Watch. 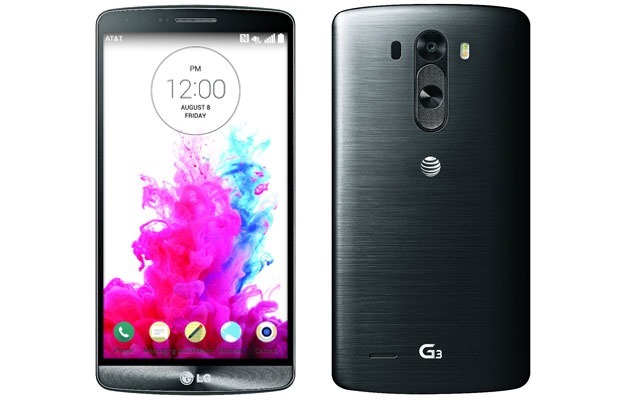 It's $229 retail, so $114.50 when you buy a G3. Not a bad deal.